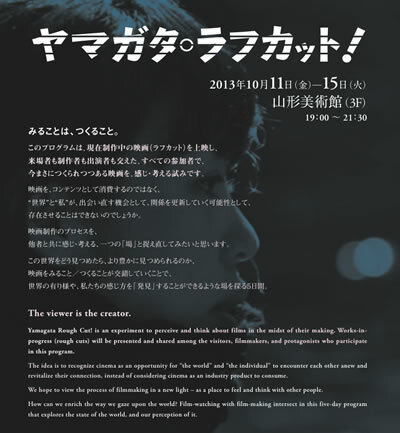 Yamagata Rough Cut! is an experiment to perceive and think about films in the midst of their making. Works-in- progress (rough cuts) will be presented and shared among the visitors, filmmakers, and protagonists who participate in this program.